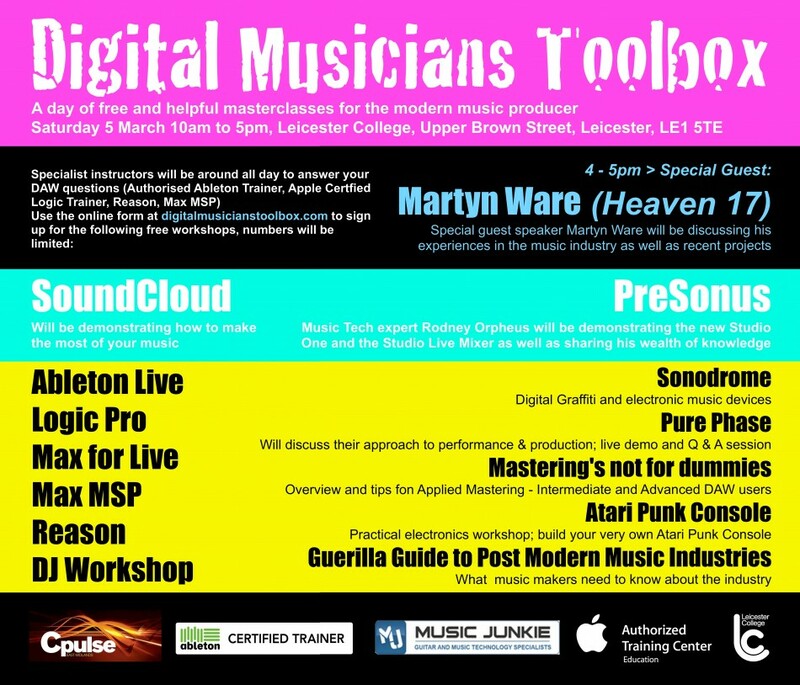 I’ve been helping organise some free workshops on saturday at the old Phoenix in Leicester. To say we’ve done it within a month, the line up is pretty amazing….. please do spread the word. My Logic class is full, but some others aren’t. Bands out there really should look at the Guerilla Guide at 2, the Soundcloud one at 3 and the Martyn Ware one at 4.